Antique Holiday Postcard - Merry Christmas - Beautiful Night Time Winter Scene - Printed in Germany - Embossed - E. A. Schwerdtfeger & Co. 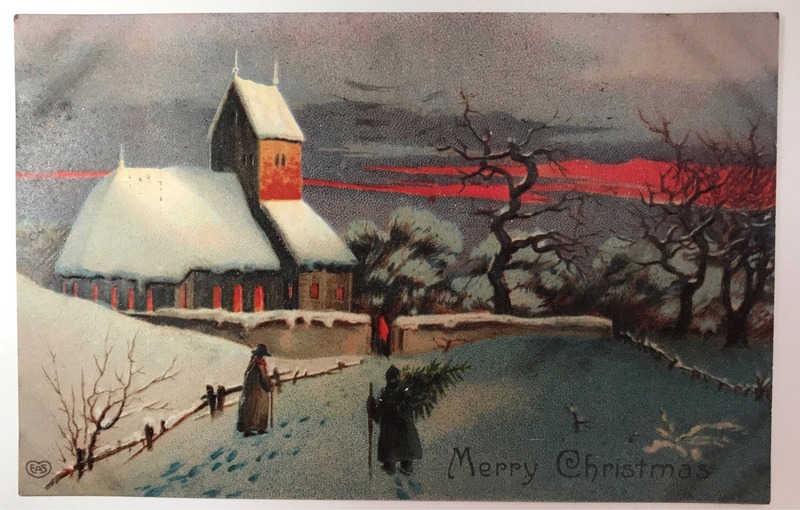 Wonderful dramatic night time winter scene of a church with the red glow of the setting sun, bare trees, and some figures, including a person carrying a Christmas tree. It reads "Merry Christmas", and published by E. A. Schwerdtfeger & Co. with their initials of E.A.S. Normally they are known for their real photo cards. CONDITION: Excellent. 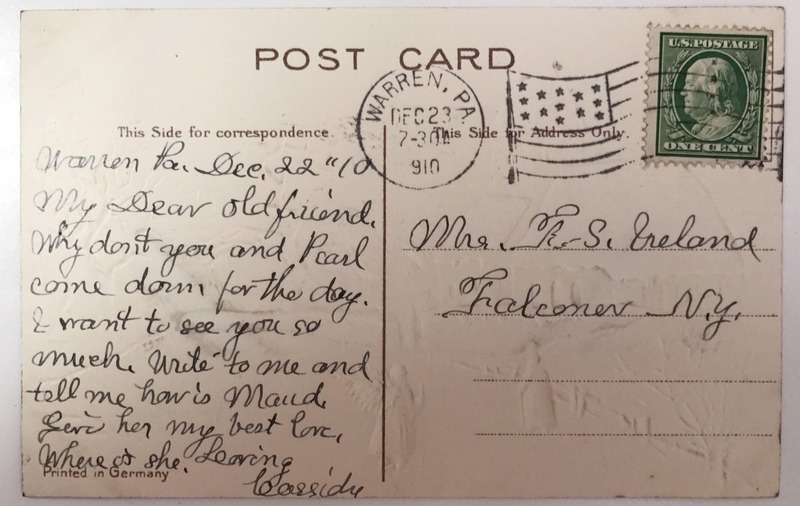 Postmarked 1910 with only minimal signs of wear. Very pleased with this beautiful postcard!